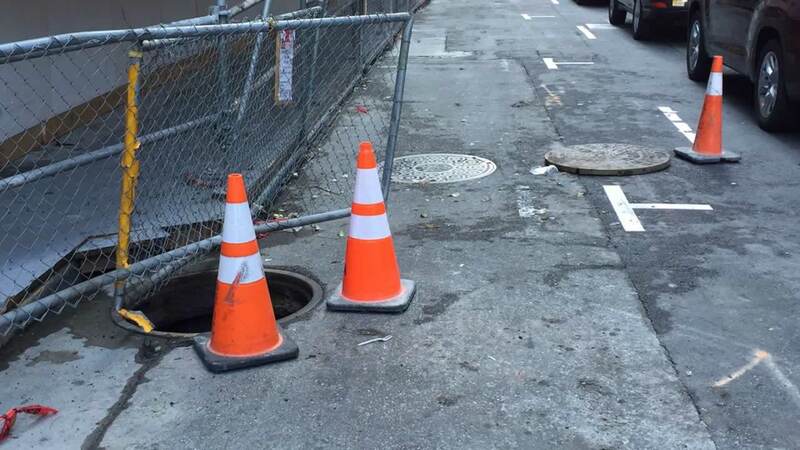 SAN FRANCISCO (KGO) -- San Francisco fire officials say that an underground vault explosion blew the cover off a manhole at 350 Bush Street in the Financial District on Wednesday. They say that no one was hurt. Smoke was visible initially but no fire was seen, SFFD says. People reported hearing a loud bang from the explosion in the Financial District. SFFD says to avoid the area.